Learn the five key ingredients for accelerating your team’s ability to come together in a manner that enables them to deliver immediate results. Leaders are faced with the pressure to deliver for the business amidst continual changes in not only who is on the team but also what the team is focused on. Teams are constantly needing to go from teaming to re-teaming and alignment to re-alignment. As a leader, how do you take your team through that quickly and create the conditions that enable your people to deliver results? In this 60-minute webinar, you’ll hear from Angie Paccione. For over 10 years Angie has partnered with leaders and teams in Global Fortune 100 organizations equipping them with practical tools that enable them to team faster and drive results quicker. Angie will walk you through 5 key elements, that when present, create a healthier team environment, greater alignment, improved communication and more effective teaming that leads to better results. 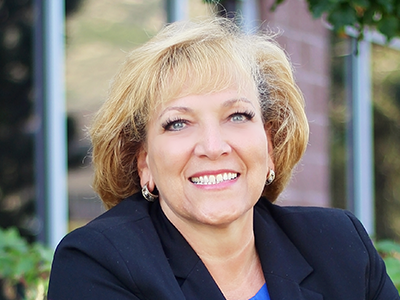 Angie Paccione is a two-time author, master facilitator and sought-after keynote speaker with Verus Global. Over the past 10+ years, Angie has distinguished herself as a trusted partner to hundreds of teams across Global Fortune 100 Companies in a variety of industries, equipping them with the simple method and practical toolset for transforming the way work gets done – activating their humanity and potential and connecting it back to how it can accelerate their ability to deliver.